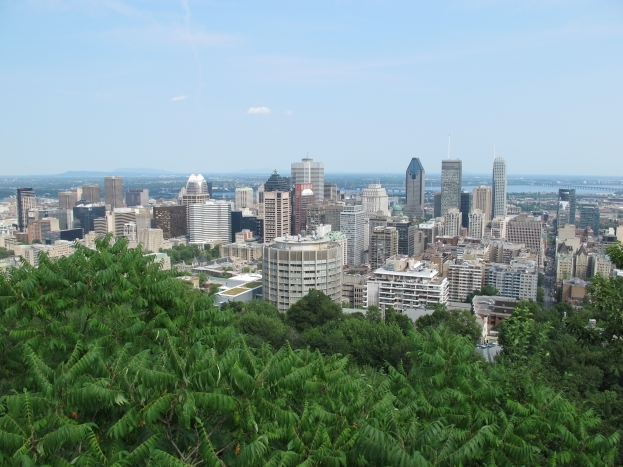 A scenic 12-hour train ride north of New York lies one of the “world’s most livable cities”, Montreal, Canada. 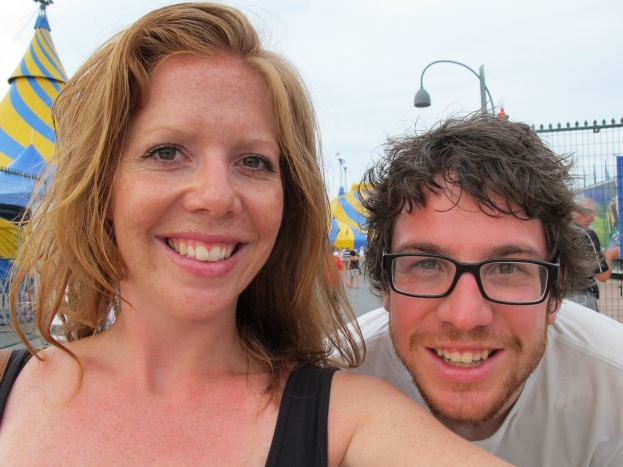 We’d heard great things about the place so we booked five nights in a dorm room in the historic Vieux area. After the intensity of New York City, it was nice to be in a place where drivers stopped to let you cross and people smiled and said “Bonjour” when you passed them in the street. The eastern part of Canada is predominantly French-speaking, but luckily most people are bi-lingual and don’t seem to mind conversing in English. A local we were chatting to at a bar explained the area was originally a French colony but after the British took over Canada in the 1800s, they let the French-speaking third of the population keep their language and customs. There has been tension about the language divide throughout Canada’s history, but apparently it’s all settled now. 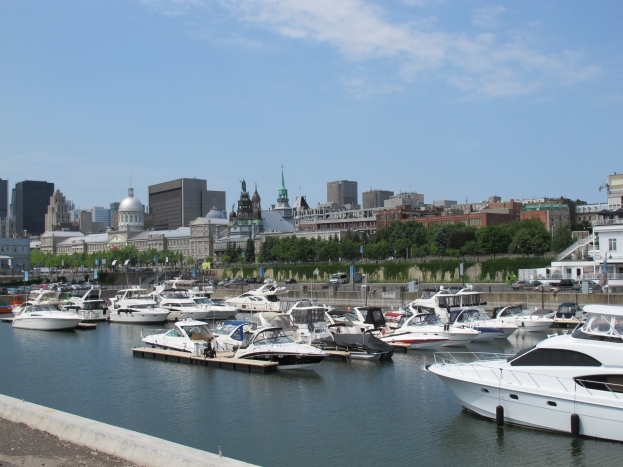 We spent our first two days ticking off touristy activities, such as strolling through the historic area, wandering along the river foreshore (pictured above) eating ice-cream and climbing countless stairs in the Parc du Mont-Royal, a massive natural park that offers a great view of the entire city. We also checked out the Latin Quarter where the city’s notorious alternative set hangs out. Not only will you see plenty of tattoos, black clothes and piercings in this area, but you’ll also find heaps of great restaurants that aren’t as high-brow as those in the old town. 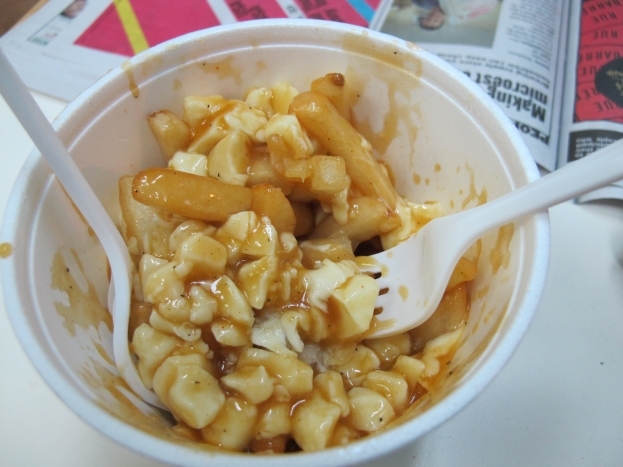 It was here we tasted Montreal’s famous “poutine”, which is French fries, covered in gravy and cheese. I thought it was pretty gross, but my junk food-loving boyfriend Joel couldn’t get enough. Montreal was the birthplace of Cirque Du Soleil, so we treated ourselves to tickets (only $60) to the Totem show and, needless to say, it was phenomenal. The costumes, the lighting and the performers’ strength and flexibility had our mouths gaping all night, but unfortunately we weren’t allowed to take pictures inside. But by the end of our second day, we’d realised that booking five nights had been a bit ambitious. Our backpacker budget didn’t allow for extravagant dinners and the local tourism office struggled to tell us how to fill four days. We opted to treat the rest of our time like a holiday (as opposed to a sightseeing adventure) and lazed in a lot of parks, reading books under trees, trying to escape the fierce sun. 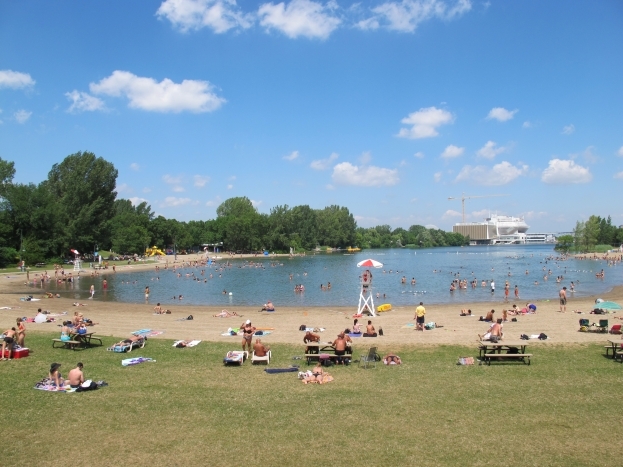 Swimming in the lake on Ile Sainte Helene island was a highlight, particularly after a restless night in our un-air-conditioned hostel. Foodies, you could spend a lifetime in Montreal, eating your way through the amazing restaurants that line every street. But if you’re more of an outdoor lover like me, two days would be plenty to get a feel for the town, before moving on to something more adventurous. 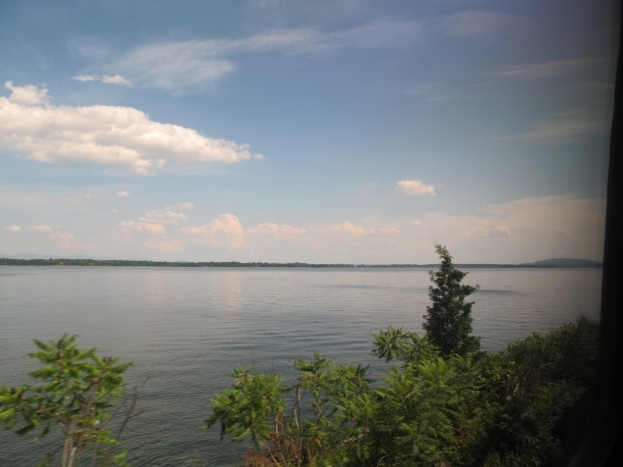 It’s definitely worth the trip from New York to see something different, and check out the beautiful lakes and rivers of upstate New York from your train window.